Hi, my name is Savannah Bushnell and here's what's going on around town for kids like me. 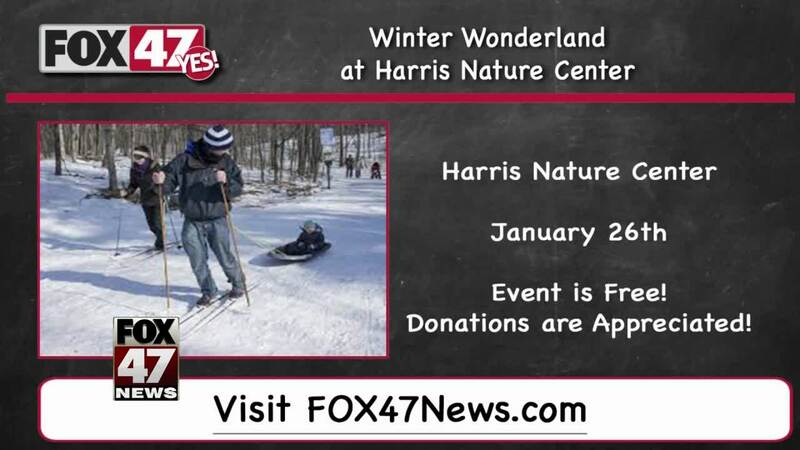 Get outside this winter at the Harris Nature Center. On January 26, visit the Nature Center to try out cross-country skiing or snow-shoeing. See a dog-sledding demonstration, warm-up by the campfire and have some treats too. Best of all, this event is free but donations are appreciated. For more information on events like this go to fox47news.com. My name is Savannah Bushnell. Now back to the Fox 47 studios.